Construction on sites with critical areas is becoming more common as real estate values increase. Though Mercer Island has been tightening up its residential and tree codes, and is in the middle of a critical areas update, city officials anticipate Islanders will see more development on environmentally sensitive sites. The city takes care to protect wetlands, watercourses, slopes and trees through its environmental and permit review processes, but high real estate values on the Island are making development of difficult sites more economically feasible, said Alison Van Gorp, administrative services manager for the community planning and development (CPD) department. One controversial site on Mercer Island, 4825 E. Mercer Way, is “an example of what may be a more common development scenario going forward,” Van Gorp said. On tricky sites like these, CPD consults with arborists, geotechnical engineers, biologists and other experts, said senior planner Nicole Gaudette. That particular lot, which is home to wetlands, steep slopes and a city-designated “exceptional” tree, required a critical areas determination before a building permit application could be submitted. In order to build a home on the half-acre site, the owner requested that the wetland buffer be reduced from 50 feet to 25 feet. That triggered another notice to neighbors, who have expressed unease about the site in the past. City planners said they heard residents’ concerns, and are requiring mitigation and other measures to protect the environment and reduce hazards. The review process has been long and complicated, Van Gorp said, and some of the measures the city is requesting will make construction time-consuming and costly for the applicant. For example, to make sure the root structure of the eagle tree is not disturbed, the city is requiring that the driveway is built in a particular way. The builder will have to use air excavation to inspect the roots, drive in pin piles between them and construct what is almost a bridge or floating structure that won’t actually touch the ground. 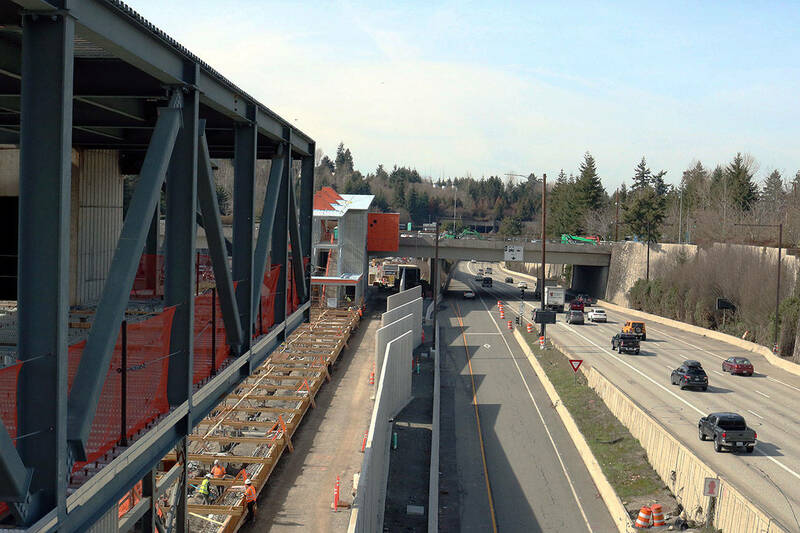 In most circumstances, the cost of development would make similar projects a no-go, but Mercer Island “is such a desirable place to live,” Van Gorp said. “People are willing to pay for expensive engineered solutions,” she added. The city is planning to issue a SEPA determination of non-significance, but that’s only because of the steps being taken to protect the site. During the construction process, the city will send code enforcement officials to take note of environmental impacts. The city added code compliance resources during the residential code update. Gaudette said she’s had conversations with the applicant about the difficulty of construction, especially considering the fact that the site is located on a narrow, private road. Members of the East Mercer Highlands Homeowner Association were initially just concerned about the eagle tree, but have since broadened their scope to the stability of the hillside and the impacts on a nearby stream, as well as their personal safety. While the standards for critical areas and tree conservation have gotten stricter, the protections for eagle nests have lessened. Neighbors are aware that eagles are no longer endangered, but they are still threatened. While they “believe everyone enjoys the right to make reasonable use of their property,” they also feel a “deep obligation to ensure our precious natural resources are preserved and protected,” according to a letter sent to the city.